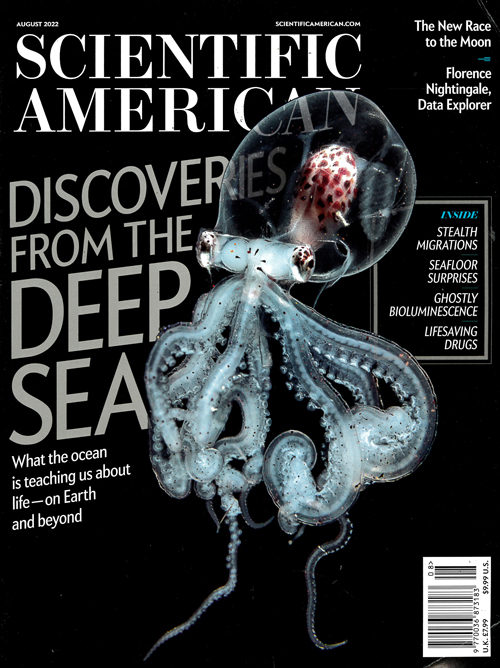 Scientific American is a surprising dynamic magazine where working scientists and Nobel laureates present the remarkable things they do. It is the place where specialists outside of science make valuable contributions as well. It´s alive with change and buzzes with speculation on what science can postulate, promise and prove at the dawn of a new century. With every issue readers assess the vital work that´s being carried out in medicine, technology, energy and the environment, business, and more. Published in English - Monthly. Allow 12-16 weeks for delivery.